This production opened on April 5, 2013 and closed on April 14, 2013. 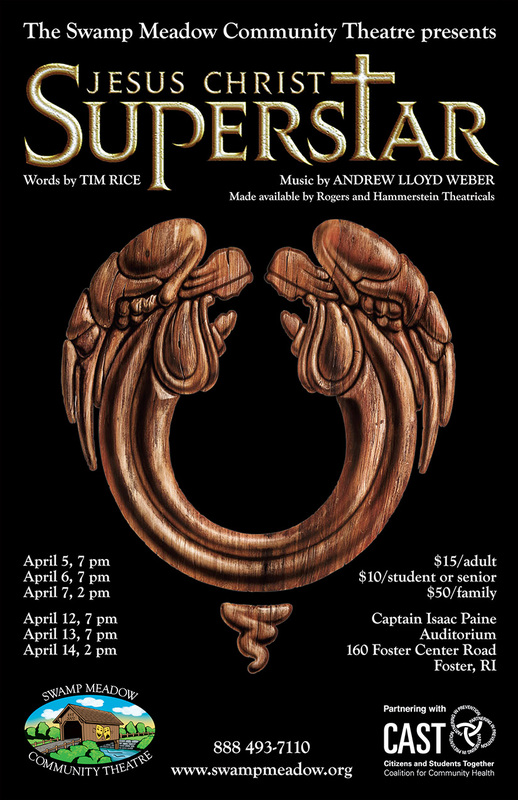 In spring of 2013, Swamp Meadow Community Theatre staged the magnificence of Jesus Christ Superstar. Nathan Jon Desisto and Bob Hollis joined as co-directors. SMCT was proud to introduce three newcomers to the SMCT Family; Emily Shell Gamage as Judas, Steven DeMello as Jesus, and Alura May as Mary. They were joined by more first-timers and many SMCT veterans. A 15 piece Band/Orchestra brought to life all the power that Andrew Lloyd Weber and Tim Rice envisioned from the concept album to today!